This months challenge set by Center Parcs and Tots100 is all about Elves and what it takes to be a perfect Elf. Why not take part, you could be chosen as one of the wild card family bloggers for Center Parcs and win a holiday? Let us show you what we’ve seen. A pointy hat, and it’s best if it is green. For Santa to give to good girls and boys. They are happy and kind and strong. They are tiny and clever and work very hard. And With Santa is where they belong. This time of year, just before Christmas is lovely, especially when you have young children. I love the Nativity plays and carol concerts and even the school Christmas Fayre’s. My first memory goes back to my Eldest Daughter when she played an Angel in her nursery. All the little Angels came into the room swirling around until they reached the centre. Then they stopped and began to sing. Well, they all did except Eldest Daughter who suddenly became incredibly shy and spent the whole song sucking her finger. At least she didn’t cry! When Star was in nursery I was really looking forward to her Nativity. It had been such a long time since I’d attended any school activity and even though it came when times where tough then it was a touch with the real world rather than the hospital bed side I was currently glued to. Sadly, it never happened because Star got poorly and couldn’t attend. Both Star and Boo have made up for it since then though, last year they both took part in a lovely musical ‘Bethelehem’s Buzzin’ which was really great. Even gthe Little Man was singing along. She hadn’t been very well but after lying around doing nothing for five days I thought that maybe sending her into school for the nativity might just make her feel a little better. She wasn’t being sick or anything, just hot and sleepy all the time. So, on Tuesday I arrived at the school to watch the show. 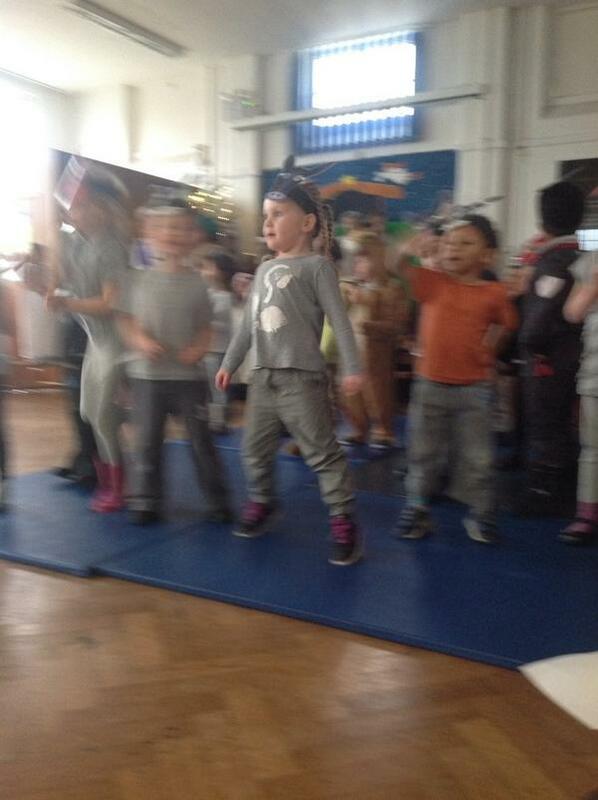 Boo was a little sheep and barely took part at all, she didn’t join in any of the songs or dancing and just looked ill. There was a couple of times when she brightened up a little but it was obvious that she was just trying to make an effort. Bless her, she said afterwards that she really enjoyed it but I kept her off school for another couple of days afterwards to make sure she was fully recovered. I did feel guilty but it’s so hard to decide what to do when there are no other symptoms of illness but listlessness. Here is a little pic of the children being Wriggly! With a large family I find I am always buying new bed linen and at Yorkshire Linen I find they have some fantastic bargains and a wide choice. 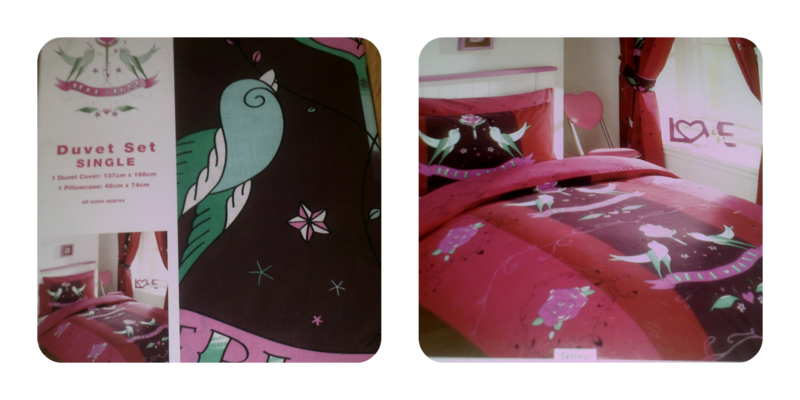 I was happy to review the Tattoo Love single duvet cover set which I used on my eldest daughter’s bed. The colours fitted in perfectly with her pink and plum colour scheme. The cover came with a matching pillowcase, it was well packaged and arrived quickly. It is made of 50/50 polycotton which means it’s crisp and fresh feeling without being harsh. It washes at 40 degrees and can be tumble dryed and ironed on cool. I found the fit really good, sometimes I wonder if there is a standard single size as I’ve bought a few covers that have been too big and the duvet moves around inside. This one kept in it’s place and stayed comfortable. The cover currently retails at £11.99 in the sale, regular price is £19.99.You can also buy the matching curtains for £24.99. Yorkshire Linen have a really good range of bed linen in all sizes from single to super king size and their prices are really competitive. I was asked to review a single duvet set, opinions are my own. The kids had an day off school this week because of a gas leak and no heating. So I took them into town to visit the German Market. We are lucky to have an amazing German Market every Christmas time. It’s a lovely place to pick up quirky unusual presents, often handmade. The food is lovely too, I really enjoy the German sausages, but you can also buy lots of sweet treats too. We bought some flavoured marshmallows on a small wafer covered in chocolate, I believe they are called Schokokuss, or chocolate kisses. The kids of course loved the fairground rides there, a big favourite is the Carousel. We all had a lovely day! 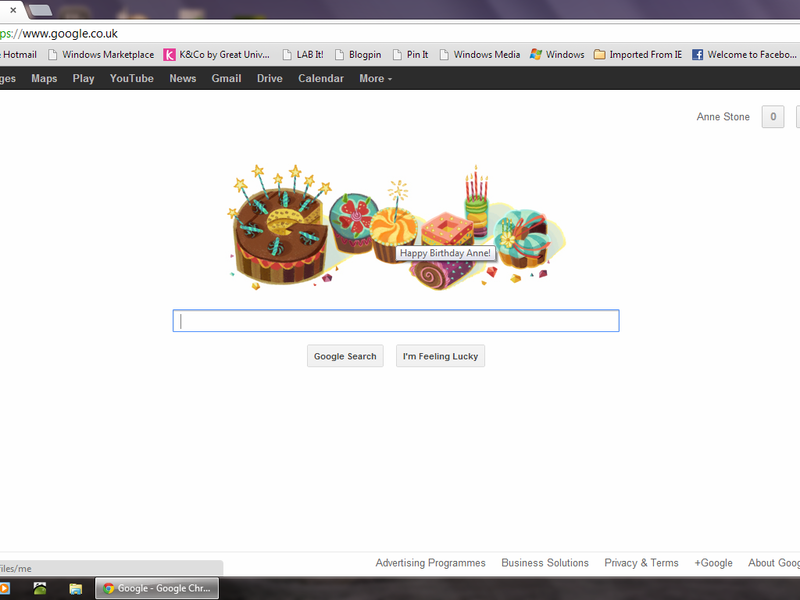 Google Doodle for my Birthday! It’s my birthday. Jeez, birthdays are so difficult around certain ages. They are brilliant when you are a kid and the special ones, 18, 21, 40 etc are always special, but there are times when you just wish it wasn’t going to happen. I mean who really wants to be reminded that you are getting old. So today I opened my lovely cards and a presents, felt a little disappointed in my other half who completely forgot (only a little disappointed because he never remembers anyway) had a low point where I really missed my mum (She got sick around my birthday four years ago and didn’t make it past Christmas) and enjoyed the attention given to me by my older kids. So I’m another year closer to getting my free bus pass.